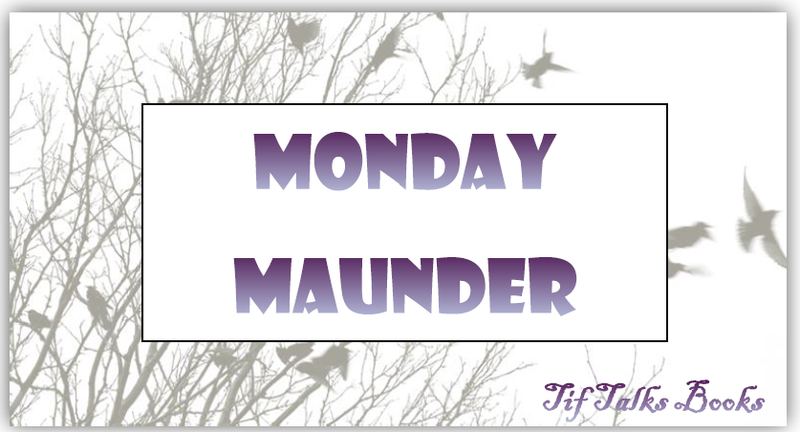 Welcome to another Monday Maunder! This week, I have a ton of things to chat with you about!! Let's begin with the AMAZING ARMCHAIR BEA!! Armchair BEA was a great week filled with tons of fun. Unfortunately, I did not get to experience all the awesomeness of everyone's contributions as I was working behind the scenes to keep the event running. I did have some personal things come up during the week that also contributed to my limited time, including my daughter being called in for surgery at the last minute on Friday morning. Thankfully, it was only a minor surgery (though it didn't really help with the mom worry kicking in) and everything went well. Overall, it was a really fun week! I am still working on more behind-the-scenes tasks, but am hoping to get things all wrapped up by the end of the week. I do have some packing to do afterall! One last thing on Armchair BEA ... I have been working and coordinating this event now for FIVE years, since its beginning. I do believe that it is time to step down from my active role and take a backseat in future years. Thankfully, this year's team was pretty amazing and I think that they can bring some fresh ideas to the event next year .... which means that I plan to step back, serve as a mentor, and if the stars align, actually attend BEA myself next year! Okay, time to move on to taking a look at MAY IN REVIEW! The TOP POSTS this month were split. 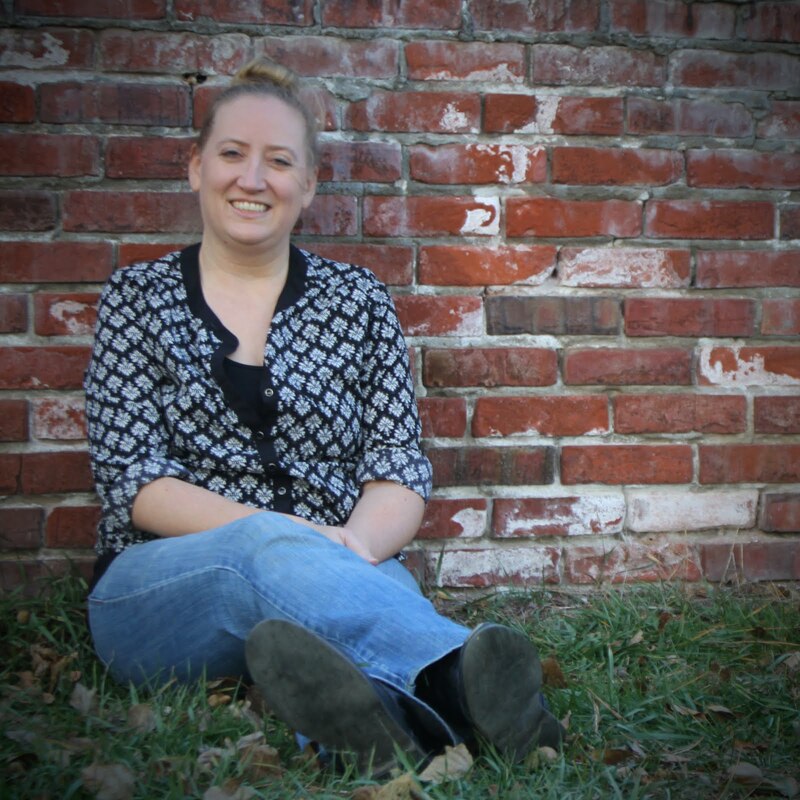 The post that had the most HITS was a guest article from Jonathan Auxier for the After the Book Deal Blog Tour. 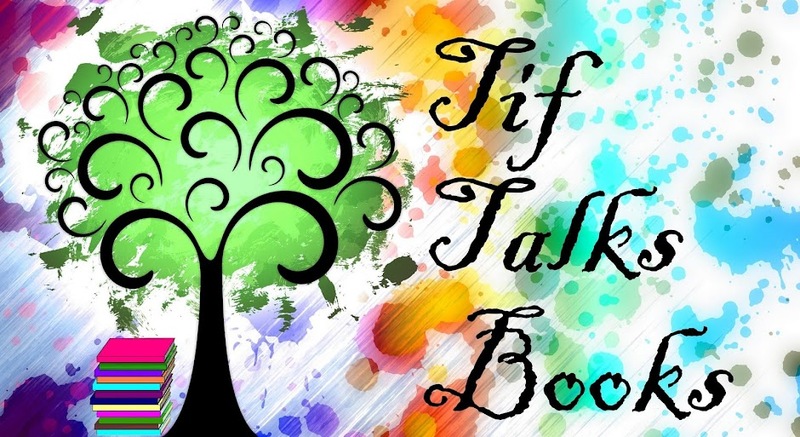 However, there were two posts that had the most COMMENTS, both from Armchair BEA: Introductions and Literature AND Author Interaction and More Than Just Words. All in all, lots of traffic this month! Lastly, I leave you with the TOP PIC of May. I can actually give you a little update on this beauty. 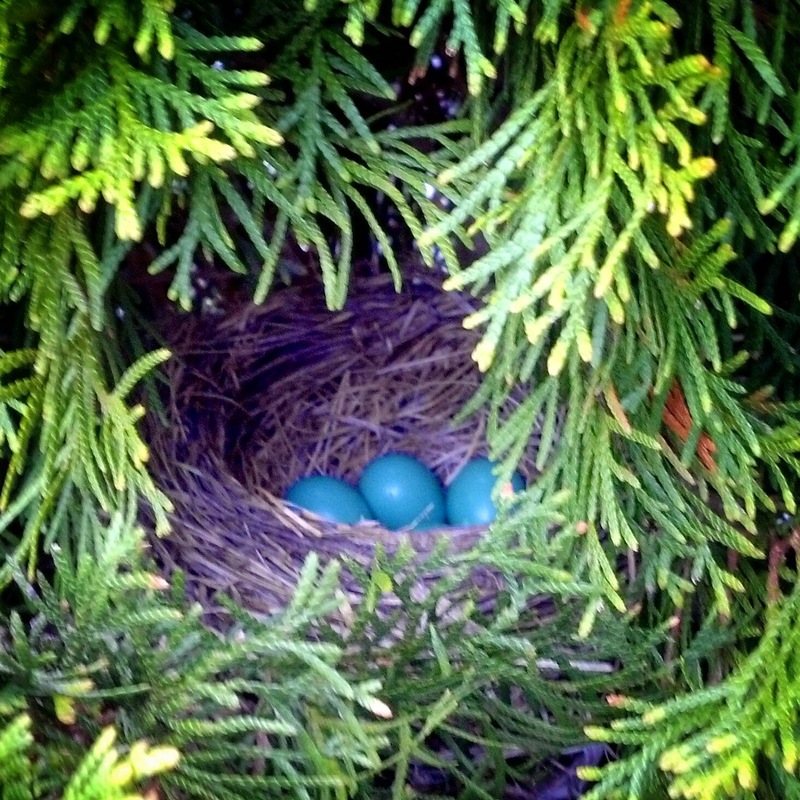 All babies were born healthy and they flew away with mom and dad this last week, so the nest now sits empty. Can I just say that those little cuties grew up fast?!?! Wow! What a week and what a month! Let's hope that June is a little quieter because I do have to move this month! That alone should be enough action! Did you participate in Armchair BEA? How did the week go for you? How did the month of May treat you? Great job on BEA. I understand that doing a project for many years can be a big under taking... so stepping down might just be the right thing to do. We will miss you!! Angela's Anxious Life ... Thank you so much! I will likely still remain as a mentor, but that is taking a huge step back! Charleen Lynette ... Ha!! Yes you did! You know, I actually meant to include our picture in this post but completely forgot! I'm still recovering from Armchair BEA I think! I will get it posted to Instagram tonight!! I hope that your move goes well! And we have little bunnies in our yard right now. It's been about a week or so and I can already tell they're getting bigger. It's crazy! Kristen M. ... I just saw some pictures of those little bunnies! They are so cute!! And, thanks for the well wishes on the move. We are starting to get excited about getting back to the mountains!! Glad to hear that your daughter is doing well! Any time someone I love has to go to the hospital is scary for me, so can only imagine what was going through your head. So glad she's okay! I was going to take part in Armchair BEA this year as I had so much fun last year, but didn't make it past the introduction post. I sort of fell off the blogging wagon again. But from what I saw, you guys did a great job! And you totally deserve some time off since you've been doing this so long. Hope you're able to make it to BEA next year! I'm hoping to go, so would love to meet you IRL! Alexia561 ... Thank you for the well wishes for my daughter! It was definitely not an easy experience. I read your Introduction for Armchair BEA. I understand how the week can get away from you. This is actually the first year that I was able to post all five days for it! Keeping my fingers crossed I make it to BEA next year. I would LOVE to meet you IRL after all these years reading your blog! !